The Bad B’s of summer come later. But for now, you can enjoy the ambience of a slower time and put your feet up to enjoy a well-deserved vacation. For many of us, that means movies. I would recommend some great summer films like the trilogy that begins with The Little Shop around the Corner and continues with In the Good Old Summertime. The third & final film in the trilogy of remakes of the same story is You’ve got Mail with Tom Hanks & Meg Ryan. What’s next up…? The Little Tweet around the Corner? Fem Flicks: The Harvey Girls, My Brilliant Career and I Know where I’m Going. Meet me in St Louis is another summer film with Judy Garland singing a few of her most famous songs like “The Trolley Song”, The Boy Next Door” and “Have yourself a Merry Little Christmas.” Garland was one of a handful of women in Hollywood with the talent and the clout to pull off the portrayal of a young girl in a film like Meet me in St Louis, and yet carry the lead with the depth and maturity of a much older character. Judy Garland is also featured in a remarkable film with one memorable scene, where the women who are working as waitresses battle the saloon girls. The movie is The Harvey Girls one of the Fem Flicks recommended in July. If you have never seen it, it’s definitely worth it to set your VCR to tape. 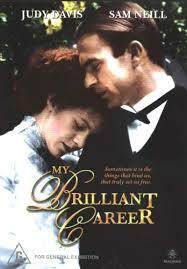 Also another notable Judy, Judy Davis, in her brilliant 1979 screen debut aptly titled, My Brilliant Career. A film out of Australia and also featuring a young Sam Neill, it’s the story of an independent young woman living in a time where to be single was the least desirable status for any female of marriageable age, it’s a triumph for women who have always wanted to be known by other titles than simply wife or mother. (Not that there’s anything wrong with those titles! The third recommended Fem Flick is one lesser known British film with Wendy Hiller called I Know where I’m Going. A remarkable film for its day, it’s also a study in independence for women of all ages who yearn for something more at some stage of their life journey. 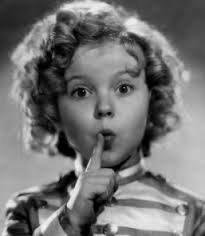 Shirley Temple…who would group Shirley Temple with the independent minded ladies starring in films on Turner Classic in July? Yet Ms Temple was one of the most talented young ladies to ever grace the screen. She had it all-she sang, she danced, she was adorable, and she hit her marks and knew her lines and everyone else’s by all accounts. There really has never been a child actor to equal Shirley Temple. Although certainly not a traditional feminist, Shirley Temple did pave the way for many child actors who came after her, and certainly opened many doors of opportunity in Hollywood for young, talented females. Perhaps that didn’t always turn out as well, as many child actors, including Temple, didn’t grow into adults with the same depth of ability and charisma. But there were a few exceptions, such as Elizabeth Taylor and Natalie Wood. Summertime always makes me think of James Dean’s Legacy in film. He really did spark a generation of young, perpetually misunderstood men who longed to be “The Rebel.” The Bad Boy image was cemented with the forever youthful and tortured performances of James Dean, who starred in just three films, and was slated to appear in Somebody Up There Likes Me when he died tragically in a car crash at the age of 24. Paul Newman replaced him in that film, and in my book, 6 Degrees of Film, I’ve often compared the arc of Newman’s career in connection with the death of James Dean and the inherited mantle of the Rebel without a cause. Newman went on to star in Hud, played Billy the Kid in The Left Handed Gun and had hits playing the outlaw rebel Butch Cassidy and finally, an older version of the James Dean rebel in The Verdict. 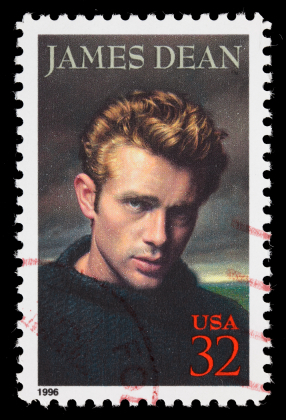 James Dean didn’t live a long life, but his aura inhabited the screen for many performances that followed in the tradition of The Rebel on film. The films of Les Blank: Short films, documentarians and independent filmmakers owe something to the superb short films that director Les Blank made. In a time when there was no such thing as Youtube or even a DVD, Blank made independent films. For many who are tired of constant remakes and re-hashing of old plots, Blank is like a breath of fresh air. He made original films about unique people and places and the documentaries hold up well in this era of Computer Generated graphics and comic book plots. 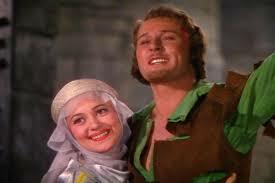 The Adventures of Robin Hood, still the greatest of the Robin Hood films and it starred a young Errol Flynn. Flynn was known for doing his own stunts, and he was and remains one of the most physical and athletic leading men Hollywood ever produced. “Giving it his all” went to new heights with Flynn . A native of the island of Tasmania, Errol Flynn was set apart from so many others of his day who were great actors, yet not believable in the period pieces that Flynn excelled in. Many of these films are available on DVR and Netflix, and they are highly recommended for summer viewing and the Armchair Film Festival. See you at the movies!